When a band can create memorable compositions, compelling melodies and deep toe tapping grooves, how would you rate them? Well the fans of Levy DeAndrade, Yovannis Roque, Rex Freligh, Nicko Pelley rate them a 10 and beyond! This dynamic group of seasoned players that make up Level 10 is living up to its name and taking it to the top with blistering live performances, an incredible international following and now a brand new CD titled Crossover. Level 10 has a large worldwide fan base and has already attracted music lovers from Asia, South America, Europe and, of course, the U.S. But fans aren’t the only ones picking up on this high-energy brand of contemporary jazz! The band was nominated by the Los Angeles Music Awards for Best New Independent Jazz Artists of the Year plus they’re semi-finalists in the Florida Grammy Awards and were voted the number one Jazz band in Tampa Bay! Level 10 also recently won second place in Billboard’s World Song Contest that drew thousands of entries. Levy DeAndrade, Level 10’s founder and keyboardist, was born in Brazil and absorbed the music styles of his homeland when he started playing the guitar and piano at a very young age. After high school he moved to San Francisco, and quickly became part of the city’s jazz scene. He then relocated to New York and worked as a first-call studio musician for the Hit Factory where he composed, arranged and shared the stage with many amazing performers like Al Jarreau, Keiko Matsui, Kim Waters, Wayman Tisdale and many others. With a solo career in mind, Levy moved to Florida where his goal was to assemble the finest group of Jazz musicians possible. This group became Level 10. Joining Levy on his musical mission is Cuban native Yovannis Roque, bassist, who studied at the world renowned National School of the Arts in Havana. He’s performed with many talented and Grammy Award winning artists like Gypsy Kings, Gloria Estefan, Candy Dulfer, and Cesar Camargo Mariano and has toured throughout the US, Central America and Russia. Nicko PelleyDrumerHaving been established as a professional drummer Nicko Pelley has steadily earned a place among the most highly regarded drummers in the south east. With his stylish grooves and melodic drum rhythms he has become a sought after session drummer as well as live performer. ''In the Pocket, and being versatile'' are commonly associated with Nicko while playing for such acts as: America's Got Talent and Glee Projects ''Dani shay'', Folk rock artist Christie Lenee, Chris McCarty, Indie rock groups: Drake &amp; Sofia, John Gold, Orange Hour, and Top 40's rock and dance- Save The Radio. 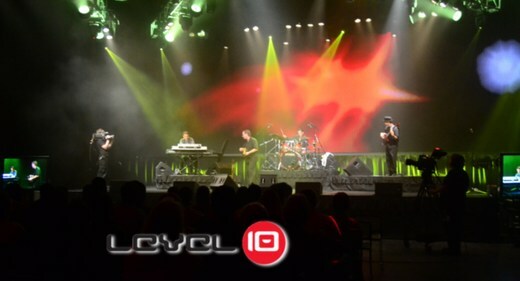 You can't help but get caught up in the moment when Level 10 performs live. It is pretty much impossible to sit quietly while experiencing the energy Level 10 creates with its intricate rhythms and genius melodies. The players top level professionalism in writing, arranging and rehearsing is made evident every time they step on stage. To catch a Level 10 show live is to see the band at its apex of energy. In 2009, when the band released their second CD titled Together - more than 1,100 fans showed up for the CD release party. What a way to start things off! The band’s new CD, Crossover recalls the energy and jam ethos as such luminary contemporary jazz bands as Spyro Gyra and the Yellowjackets. In a nod to his Brazilian roots, Levy DeAndrade selected two cover tunes. On the first, George Ben’ “Mas Que Nada,” saxophonist Freligh gets a workout before DeAndrade steps in with a rapidly-increasing keys solo. The second is “Dinorah,” a classic from Ivan Lins that Level 10 accents with funky twists.